Today I found myself on an emotional tour of Queens. I went job hunting and wound up in front of the Central Library. Ah, the Central Library…a place I spent many afternoons escaping the lonely hell that was high school. I would cut school (Sometimes with my best friend, most times not) and just walk around the fiction section picking up books and running my fingers across rigid spines. It was there that I discovered Anne Rice and all of her beautiful vampires and witches. It was there that I was accosted by a young Indian man who asked me if I wanted to marry him ( i told him I was only 16…he said I should have been married three years ago). On the way home, I walked up towards my high school, a place I promised I would NEVER step my foot into. I didn’t but i saw 16 year old me walking down that ridiculous hill with a loaded back pack and a frizzy ponytail. Some days I walked from school to home just to be alone. Sometimes, alone is good.I waited for the bus and just looked towards my alma mater, trees blowing in the wind but keeping safely hidden. Once on the bus, we rode through my old neighborhood. We moved there when Bubba was a little over a year old. My mother complained about how the store was blocks away and you needed a car to get around. I liked it because it was quiet and nothing ever happened. A good place to raise a child. I tas only in the house we lived in that my aunt had a stroke and our whole lives turned upside down. My aunt had babysat my brothers and I while my mom worked and it was at the moment the EMTs took her away that I realized just how important she was to me. A few years later, she died. We passed where Bubba’s dad lives. I met him while I was still in high school, you know. My mom and Bubba want to move to Manhattan and they don’t understand why I’m so stuck on being a Queens girl. Bubba was born here, took her first breath here.I also took my own first NYC breath in the same hospital as Bubba did. I met my best friend in the whole world here, graduated high school here…and lost my mother here. When I think of all the important things that have ever happened to me until this moment in my 26 years, both happy and sad,Queens is always the setting for those stories. 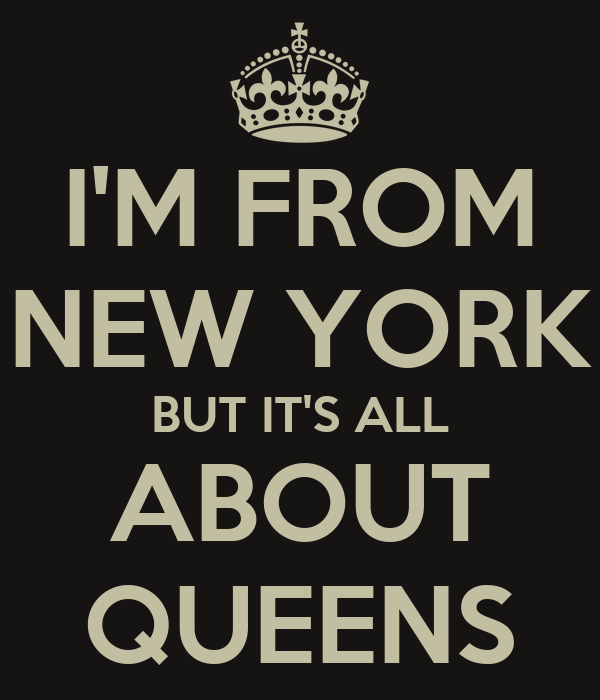 I am a Queens girl emotionally, mentally, and geographically and no matter how far removed I am from here, this will always be home. So, this coming Wednesday, Bubba will be starting 2nd grade and my youngest brother,X, will be wrapping up his finally year as a high school student. This is a very important year for him and as his big sister I intend to make the transition for him from high school to college as seamless as possible. Although Bubba and I have done a couple of cool things this Summer, I felt like we had to have a grand finale. We have really fallen head over heels in love with the Impractical Jokers. In case you are unfamiliar with they guys, they are four friends(Joe, Q,Sal,and Murr) who pull ridiculous and funny prank challenges on each other all over NYC. Bubba’s favorite Joker is James Murray(AKA Murr) and mine is Salvatore Vulcano (AKA Sal). A few weeks ago, I found out that the guys were having a live punishment special to celebrate their 100th episode at the South Street Seaport on September 2015 @ 10pm. The punishment was that all four guys were going to walk a tight rope 60 feet up.Who ever made it the farthest wins 50 grand for a charity of their choosing. Right away I KNEW this was our grand finale event. I got my mom to come because she was worried about the crowd at such a late hour and she wanted to protect both me and Bubba. Let me just tell you, it was amazing!!! The energy was everything, the guys were so friendly and obviously scared for what they were about to do. Bubba’s goal was to get a picture and autograph from Murr and thanks to my mom’s big mouth and love for Bubba, she got it! Murr was very sweet to her and he just really made her day. My goal was to get that gorgeous Cuban?Italian dreamboat, Sal, to notice me. The crowd was cheering and screaming and then they fell silent. It was at that perfect moment that I shouted “SAL,I LOVE YOU!!!”. He turned his head, looked and me, gave me that 1000 watt smile and said “I love you,too!” I wanted to pass out!! The show went live @ 10 as promised and Q made it all the way across the tight rope,winning the $50,000 for his charity (I think he chose Make-A-Wish, but I’m not 100% sure). All the other guys got $15,000 for their charities and it was just great clean fun. I am proud of myself for keeping my promise to Bubba, I’m proud of my mom for stepping out of her comfort zone to make Bubba and I happy and I’m proud of Bubba for being open to everything positive in life!! !